We provide care for the entire family, from newborns to seniors in their 90s. Chiropractors are not just about back pain, neck pain and headaches. Due to the effect that the chiropractic adjustment has on the nervous system, we can also help with aches and pains of pregnancy, sinus problems, allergies, indigestion, sciatica/leg pain, carpal tunnel syndrome, TMJ, and much more. We offer a knowledgeable, personalized approach of spinal adjustments, corrective exercise and stretching information, and massage. 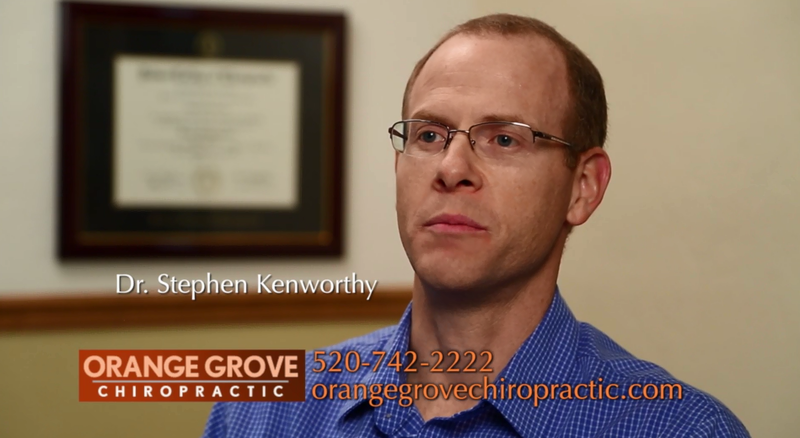 Orange Grove Chiropractic has been serving northwest Tucson for over 30 years. We take great pride in providing the finest Chiropractic corrective and wellness care for our patients. Having treated literally thousands of patients, our extensive experience means a proper diagnosis, followed by real, lasting results. Our doctor is fully committed to helping you gain better health and a better way of life by teaching and practicing the true principles of Chiropractic wellness care.